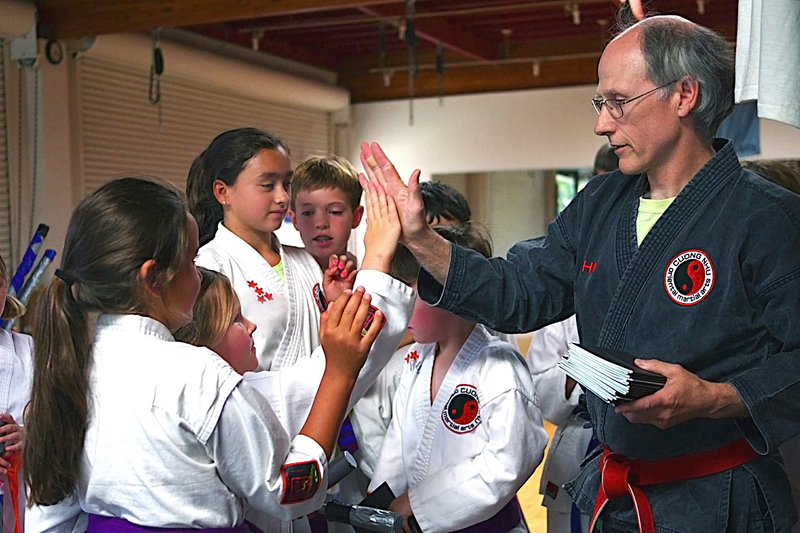 Berkeley Cuong Nhu Karate, also known as Rohai Dojo, has been serving the East Bay community since 1980. Our traditional martial arts program teaches the Vietnamese art of Cuong Nhu, a complete and well-rounded art that blends techniques and principles drawn from seven major “hard” and “soft” martial art styles: Japanese Karate, Aikido and Judo; Vietnamese Vovinam; Chinese Wing Chun and Tai Chi; and European Boxing. To learn more about our art, please visit our dojo, where you can meet and speak with the instructors and students. 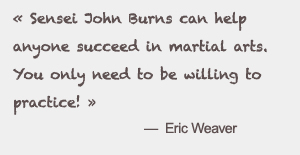 John Burns, Kudan (9th degree black belt), head instructor at Rohai Dojo, has been training in Cuong Nhu for 44 years, in Florida and California. He has been teaching in Berkeley since 1980. He has traveled to China twice to study Chinese Wushu. He also holds the rank of Godan (5th degree black belt) in Aikido, and has studied Okinawan and Chinese weapons. 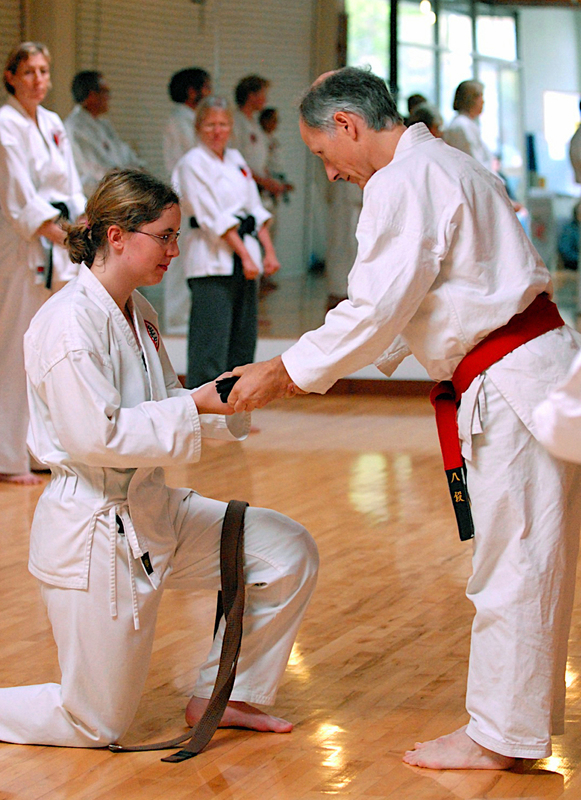 Master Burns is assisted by several black belt instructors whose experience ranges from 5 to more than 40 years of training. Our beautiful dojo, or training hall, includes a state-of-the-art Robbins “Bio-Cushion” sports floor. This shock-absorbing floor will protect your muscles, joints and bones while you train, so you can perform at peak levels without having to worry about the kinds of stress injuries that often occur on rigid training surfaces (like carpet over concrete). We also maintain a permanent mat area and many other training aids, including mirrors, speed bags, kicking bags and other equipment.